This document presents a set of text formatting properties for CSS3. Many of these properties already existed in CSS2 [CSS2]. Many of the new properties have been added to address basic requirements in international text layout, particularly for East Asian and bidirectional text. This specification is one of the "modules" for the upcoming CSS level 3 (CSS3) specification. It has been developed by the CSS Working Group which is part of the Style Activity (see summary). It contains features to be included in CSS level 3. This is a Candidate Recommendation, which means W3C believes the specification is ready to be implemented. There must be at least two interoperable implementations for every feature in the specification. passing the respective test case(s) in the test suite, or, if the implementation is not a web browser, an equivalent test. Every relevant test in the test suite should have an equivalent test created if such a user agent (UA) is to be used to claim interoperability. In addition if such a UA is to be used to claim interoperability, then there must one or more additional UAs which can also pass those equivalent tests in the same way for the purpose of interoperability. The equivalent tests must be made publically available for the purposes of peer review. The comments that the CSS WG received on the last working draft, together with responses and resulting changes are listed in the disposition of comments. This document has been produced as a combined effort of the W3C Internationalization Activity, and the Style Activity. It also includes extensive contribution made by participants in the XSL Working Group (members only). Finally, some of the proposal surfaced first in the Scalable Vector Graphics (SVG) 1.1 Specification [SVG1.1]. The text has been duplicated in this document to reflect which properties and specification should eventually be referenced in CSS itself. 10.1. What is document grid? In both CSS1 and CSS2, text formatting has been limited to simple effects like: text decoration, text alignment and letter spacing. However, international typography contains types of formatting that could not be achieved without using special workarounds or graphics. Along with already existing text-related properties, this document presents a number of new CSS properties to represent such formatting. The features this proposal covers include two of the most important features for East Asian typography: vertical text and layout grid. - connected glyph (e.g. Arabic) which is the n-th glyph in the text run. Many typographical properties in East Asian typography depends on the fact that a character is typically rendered as either a wide or narrow glyph. All characters described by the Unicode Standard [UNICODE] can be categorized by a width property. This is covered by the Unicode Standard Annex #11, East Asian Width [UAX-11]. The orientation which the above symbols assume in the diagrams corresponds to the orientation that the glyphs they represent are intended to assume when rendered in the UA (user agent). Spacing between these glyphs in the diagrams is usually symbolic, unless intentionally changed to make a point. Furthermore, all properties, in addition to the noted values, take 'initial' and 'inherit'. These values are not repeated in property value enumerations. This module uses extensively the 'before', 'after', 'start' and 'end' notation to specify the four edges of a box relative to its text advance direction, independently of its absolute orientation in terms of 'top', 'bottom', 'left' and 'right' (corresponding respectively to the 'before', 'after', 'start' and 'end' positions in a typical Western text layout). This notation is also used extensively in [XSL1.0] for the same purpose. The term 'Latin' is used frequently in this document to designate behavior shared among popular writing scripts in Europe and America based on the Latin, Greek and Cyrillic scripts. Finally, in this document, requirements are expressed using the key words "MUST", "MUST NOT", "REQUIRED", "SHALL" and "SHALL NOT". Recommendations are expressed using the key words "SHOULD", "SHOULD NOT" and "RECOMMENDED". "MAY" and "OPTIONAL" are used to indicate optional features or behavior. These keywords are used in accordance with [RFC2119]. For legibility these keywords are used in small caps form. This section describes the text layout features supported by CSS, which includes support for various international writing directions, such as left-to-right (e.g., Latin scripts), right-to-left (e.g., Hebrew or Arabic), bidirectional (e.g., mixing Latin with Arabic) and vertical (e.g., Asian scripts). The 'direction' property, already defined in CSS2, determines an inline-progression. The 'block-progression' property determines a block-progression. The 'writing-mode' shorthand combines inline and block progression together. For example, Latin scripts are typically written with a left to right inline-progression and a top to bottom block-progression. The glyph orientation is the orientation of the rendered visual shape of characters relative to the block-progression and the bottom of the block box. Within a line, the inline-progression for characters is based on the current glyph orientation, the metrics of the glyph just rendered, kerning tables in the font, and the current values of various attributes and properties, such as the spacing properties. For many combinations of 'direction', 'block-progression' and glyph orientation values, the proper directionality and ordering of text are determined the Unicode Bidirectional Algorithm [UAX9]. CSS relies on that algorithm to achieve proper bidirectional text rendering and possible reordering. Furthermore, with the 'unicode-bidi' property, the style sheet can influence the bidirectional algorithm by allowing new embedding levels and direction overrides. Note: The Unicode Standard Annex #9, The Bidirectional Algorithm [UAX9] defines a bidirectional algorithm that determines the character directionality for bidirectional text. The display ordering of bidirectional text depends upon the directional properties of the characters in the text. The HTML 4.01 specification ([HTML401], section 8.2) defines bidirectionality behavior for HTML elements. Conforming HTML user agents MAY therefore ignore the 'direction' and 'unicode-bidi' properties in author and user style sheets. The style sheet rules that would achieve the bidirectionality behavior specified in HTML 4.01 are given in the sample style sheet. The HTML 4.01 specification also contains more information on bidirectionality issues. Note: HTML 4.01 only allows the change of inline-progression whereas the 'block-progression' and the 'writing-mode' properties allow the change of the block-progression. This property specifies the inline-progression and the direction of embeddings and overrides (see 'unicode-bidi') for the Unicode Bidirectional Algorithm [UAX9]. The values 'ltr' and 'rtl' are interpreted relative to the 'block-progression'. For example, a 'ltr' inline-progression goes from the left to the right of the box when the 'block-progression' is set to 'tb'; the same 'ltr' inline-progression goes from the top to the bottom of the box when 'block-progression' is set to 'rl'. This property also affects the direction of table column layout, the direction of the overflow when determined by the inline-progression (such as the 'start' and 'end' values of the 'text-align' property), the initial alignment of text and the position of an incomplete last line in a block in case of 'text-align: justify' and many other properties affected by inline-progression changes. Note: Even when the inline-progression is left-to-right or right-to-left, some or all of the character content within a given element might advance in the opposite direction because of the Unicode Bidirectional Algorithm [UAX9] or because of explicit text advance overrides due to the usage of this property and 'unicode-bidi' on children elements. the 'glyph-orientation-horizontal' value MUST NOT be inline for horizontal flow orientation. For more on bidirectional text, see the section about Embedding and override. Note: The 'direction' property, when specified for table column elements, is not inherited by cells in the column since column elements are never the ancestors of their constituent cell elements. Thus, CSS cannot easily capture the "dir" attribute inheritance rules described in [HTML4.01], section 11.3.2. Top-to-bottom direction. The flow orientation is horizontal. Right-to-left direction. The flow orientation is vertical. Left-to-right direction. The flow orientation is vertical. The two block-progressions are perpendicular to each other (for example, 'tb' and 'lr'). In such cases, the content height of the element within the line box height is determined by its maximum inline progression dimension (advance width). However, the resulting line height is determined by other properties such as the 'text-height' and the 'line-stacking-strategy' [CSS3-line]. The two block-progressions are parallel to each other (for example, 'rl' and 'lr'). In such cases, the content width of the element within the line box width is determined by its maximum inline progression dimension. In horizontal flow orientations, the top and bottom margins can be collapsed. For vertical flow orientations, the left and right margin can be collapsed. See "Collapsing margins" in the CSS3 Box module [CSS3-box] for the details of collapsing margins. The 'writing-mode' property is a shorthand property for the 'direction' property and the 'block-progression' property. Although strictly speaking, the property has no initial value, it is equivalent to 'lr-tb'. The definition of the property values are established by the following table, which shows the setting of the constituent properties and example of common usage. In the following example, two blocks elements (1 and 3) separated by an image (2) are presented in various flow orientations. In some cases, it is required to alter the orientation of a sequence of glyphs relative to the block-progression. The requirement is particularly applicable to vertical layouts of East Asian documents, where sometimes half-width Latin text is to be displayed horizontally and other times vertically. Two properties control the glyph orientation relative to the block-progression. 'glyph-orientation-vertical' controls glyph orientation when the flow orientation is vertical. 'glyph-orientation-horizontal' controls glyph orientation when the flow orientation is horizontal. Although any angle value may be used, the behavior related to the value is determined by rounding it to the nearest multiple of 90 degrees. A value of "0deg" indicates that all glyphs are oriented with the bottom of the glyphs toward the bottom of the block, resulting in glyphs which are stacked vertically on top of each other. A value of "90deg" indicates a rotation of 90 degrees from the "0deg" orientation -- clockwise in right-to-left block-progression and counterclockwise in left-to-right block-progression. A value of "270deg" indicates a rotation of 270 degrees from the "0deg" orientation -- clockwise in right-to-left block-progression and counterclockwise in left-to-right block-progression. A value of "180deg" indicates that all glyphs are oriented with the bottom of the glyphs toward the top of the block. The glyph orientation is determined automatically based on the Unicode character code of the rendered character. Full-width ideographic and full-width Latin glyphs are oriented as if an <angle> of "0deg" had been specified. Ideographic punctuation and other characters having alternate horizontal and vertical glyphs MUST use the vertical glyph. Glyphs from the Mongolian script are also oriented as if an <angle> of "0deg" had been specified. Other glyphs, including Hebrew and Arabic are set as if an <angle> of "90deg" had been specified. Glyphs are oriented as if an <angle> of "0deg" had been specified. However all vertical alternates of the glyphs should be used. Enclosing punctuations such as parentheses should be oriented to face in the text they enclose. The user agent may use heuristic to determine the best orientation for symbols that are flow orientation dependent. All glyphs are laid out top to bottom regardless of inherent direction. The embedding levels, as determined by the bidirectional algorithm [UAX9], are used to set the orientation of some glyphs (see following prose). Ideographic punctuation and other ideographic characters having alternate horizontal and vertical glyphs MUST use the vertical glyph. Glyphs for all characters in even embedding levels are rotated 90 degrees clockwise from the "0deg" orientation. Glyphs for all characters in odd embedding levels are rotated 90 degrees counter-clockwise from the "0deg" orientation. For this value of 'glyph-orientation-vertical', the directionality of characters cannot be changed by the 'direction' property. If the glyph orientation is 0 degree or 180 degree, the corresponding characters are treated as 'L' (left-to-right) if the 'block-progression' value is 'rl', and 'R' (right-to-left) if the 'block-progression' value is 'lr'. If the glyph orientation is 90 degree clockwise, the corresponding characters are treated as normal (directionality derived from character property) if the 'block-progression' value is 'rl', but 'R' (right-to-left) if the 'block-progression' value is 'lr'. If the glyph orientation is 270 degree clockwise, the corresponding characters are treated as 'L' (left-to-right) if the 'block-progression' value is 'rl', but normal (directionality derived from character property) if the 'block-progression' value is 'lr'. Conforming user agents MUST at least support the 'auto' and "90deg" value. The user agent MAY round the actual value of the angle to the values of glyph rotation supported by the user agent. However, this does not affect the computed value. The glyph orientation affects the amount that the current text position advances as each glyph is rendered. It also affects how the glyph is aligned relative to the baseline. When the flow orientation is vertical and the 'glyph-orientation-vertical' value results in a glyph orientation angle which is a multiple of 180deg, then the current text position is incremented according to the vertical metrics of the glyph, and the glyph is aligned using the vertical alignment-point as described in the CSS3 Line module [CSS3-line]. 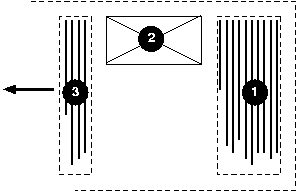 The diagrams below illustrate different uses of 'glyph-orientation-vertical'. The diagram on the left shows the result of the mixing of full-width ideographic characters with normal-width Latin characters when 'glyph-orientation-vertical' for the span containing the Latin characters is either auto or "90deg". The diagram on the right show the result of mixing full-width ideographic characters with normal-width Latin characters when the span containing the Latin characters is specified to have a 'glyph-orientation-vertical' of "0deg". Note: The effect on the right can be also be achieved by using full-width Latin characters and using 'glyph-orientation-vertical: auto' for the span containing the ideographic characters and the full-width Latin characters. A value of "0deg" indicates that all glyphs are oriented with the bottom of the glyphs toward the bottom of the block, resulting in glyphs which are positioned side by side. A value of "90deg" indicates a rotation clockwise of 90 degrees from the "0deg" orientation. A value of "270deg" indicates a rotation clockwise of 270 degrees from the "0deg" orientation. The glyph orientation relative to the inline-progression is determined automatically based on the Unicode character code of the rendered character. Full-width ideographic and full-width Latin glyphs (excluding some ideographic punctuation and bracket symbols) are oriented as if an <angle> of "0deg" had been specified. Ideographic punctuation and other characters having alternate horizontal and vertical glyphs MUST use the horizontal glyph. Glyphs from the Mongolian script are oriented as if an <angle> of "90deg" had been specified. Other glyphs, including Hebrew and Arabic are set as if an <angle> of "0deg" had been specified. All glyphs are laid out left to right regardless of inherent direction. The embedding levels, as determined by the bidirectional algorithm [UAX9], are used to set the orientation of some glyphs (see following prose). Ideographic punctuation and other ideographic characters having alternate horizontal and vertical glyphs MUST use the horizontal glyph. Glyphs for all characters in even embedding levels are oriented as if an <angle> of "0deg" had been specified. Glyphs for all characters in odd embedding levels are rotated 180 degrees from the "0deg" orientation. For this value of 'glyph-orientation-horizontal', the directionality of characters cannot be changed by the 'direction' property. If the glyph orientation is 0 degree, the corresponding characters are treated as normal (directionality derived from character property). If the glyph orientation is 90 degree, glyphs from the Mongolian script are treated as 'R' (right to left), other characters are treated as 'L' (left-to-right). If the glyph orientation is 180 degree or 270 degree clockwise, the corresponding characters are treated as 'L' (left-to-right). Conforming user agents MUST at least support the 'auto' and "0deg" value. The user agent MAY round the actual value of the angle to the values of glyph rotation supported by the user agent. However, this does not affect the computed value. The glyph orientation affects the amount that the current text position advances as each glyph is rendered. It also affects how the glyph is aligned relative to the baseline. When the inline-progression is horizontal and the 'glyph-orientation-horizontal' value results in a glyph orientation angle which is a multiple of "180deg", then the current text position is incremented according to the horizontal metrics of the glyph, and the glyph is aligned using the horizontal alignment-point as described in the CSS3 Line module [CSS3-line]. The element does not open an additional level of embedding with respect to the bidirectional algorithm. For inline-level elements, implicit reordering works across element boundaries. If the element is inline-level, this value opens an additional level of embedding with respect to the bidirectional algorithm. The direction of this embedding level is given by the 'direction' property. Inside the element, reordering is done implicitly. This corresponds to adding a LRE (U+202A; for 'direction: ltr') or RLE (U+202B; for 'direction: rtl') at the start of the element and a PDF (U+202C) at the end of the element. For inline-level elements this creates an override. For block-level elements this creates an override for inline-level descendents not within another block. This means that inside the element, reordering is strictly in sequence according to the 'direction' property; the implicit part of the bidirectional algorithm is ignored. This corresponds to adding a LRO (U+202D; for 'direction: ltr') or RLO (U+202E; for 'direction: rtl') at the start of the element and a PDF (U+202C) at the end of the element. The final order of characters in each block-level element is the same as if the bidirectional control codes had been added as described above, mark-up had been stripped, non-textual entities such as images treated as object replacement characters (U+FFFC), and the resulting character sequence had been passed to an implementation of the Unicode Bidirectional Algorithm [UAX9] for plain text that produced the same line-breaks as the styled text. Note: In order to be able to flow inline boxes in a uniform direction (either entirely left-to-right or entirely right-to-left), more inline boxes (including anonymous inline boxes) may have to be created, and some inline boxes may have to be split up and reordered before flowing. The following example shows an XML document with bidirectional text. It illustrates an important design principle: DTD designers should take bidirectionality into account both in the language proper (elements and attributes) and in any accompanying style sheets. The style sheets should be designed so that bidirectional rules are separate from other style rules. The bidirectional rules should not be overridden by other style sheets so that the document language's or DTD's bidirectional behavior is preserved. The div element with xml:lang="he" is a block with a right-to-left base direction, the div element with xml:lang="en" is a block with a left-to-right base direction. The par elements are blocks that inherit the base direction from their parents. Thus, the first two par elements are read starting at the top right, the final three are read starting at the top left. The emph element is inline-level, and since its value for 'unicode-bidi' is 'normal' (the initial value), it has no effect on the ordering of the text. The quo element, on the other hand, creates an embedding. Note that the quo embedding causes HEBREW18 to be to the right of english19. Many text layout behaviors are relative to the script classification of the text content. The Unicode Technical Report [UAX-24]: "Script names" determines a script identifier for all characters. Note: There is also an ISO draft standard [ISO15924] addressing script identification. For some operations, such as baseline alignment, a dominant script is required to determine an alignment strategy for the whole element. A dominant script is established by setting the 'text-script' property to an explicit script identifier in conformance with [UAX-24], or by using the heuristic determination computed by the user agent when the 'text-script' value is set to 'auto'. In many other cases, such as white space handling or text justification, the script property is used on a character by character basis. In those cases, the 'text-script' property can be used to set an homogeneous value for all characters of the element through the usage of an explicit script identifier. But, if the 'text-script' is set to 'auto', the user agent will establish a script property value for each character of the element. The user agent uses its own heuristic to determine the dominant script of the element's content. In the absence of any textual components with an unambiguous script identifier (or no textual content at all), the dominant script is 'LATIN'. An unambiguous script identifier is any script value other than 'COMMON' or 'INHERITED'. For operations that do not require a dominant script, but instead use a script determination on a character by character basis within the element, the user agent will determine a script value for each character based on its inherent script property as established by [UAX-24]. In such cases, the values 'COMMON' or 'INHERITED' are valid. Note: The heuristic determining the dominant script may compare the script of the first character and last character descendant which have unambiguous script identifiers [UAX-24]. If they are identical the script is determined, otherwise a weighted method associated with the element's language setting or any other hints may be used. A script identifier in conformance with [UAX-24]. If the script identifier is either 'COMMON' or 'INHERITED' the dominant script value is 'LATIN', otherwise the dominant script value is the specified value. All characters in the element are reclassified as belonging to this dominant script. For example, setting 'text-script' to 'HAN' makes the content behave as CJK content for line-breaking. Typically, an explicit script value should be used only when the textual content is script ambiguous and a specific behavior is sought. Note: Script identifiers are not case-sensitive. The text is aligned on the start of the inline-progression. The text is aligned on the end of the inline-progression. In horizontal flow orientation, the text is aligned on the left or right respectively. In vertical flow orientation, the alignment SHOULD be interpreted relative to the 'block-progression'. That is, if the 'block-progression' value is 'rl', 'left' means 'the top of the block' and 'right' means 'the bottom of the block'. If the 'block-progression' value is 'lr', 'left' means 'the bottom of the block' and 'right' means 'the top of the block'. Unlike the 'start' and 'end' values, 'left' and 'right' are not related to the current inline-progression. The text is center aligned. The text is justified. The justification algorithm can be further refined by using the 'text-justify' property. Although conforming CSS2 user agents could interpret the value 'justify' as 'start', conforming CSS3 user agents may not, unless a profile specifies otherwise. Specifies a string on which cells in a table column will align (see the section on horizontal alignment in a column for details and an example). This value applies only to table cells. If set on other elements, the computed value is 'start', otherwise it is as specified. In this example, note that since 'text-align' is inherited, all block-level elements inside the div element with 'class=important' will have their inline content centered. Note: The property's initial value has changed between CSS2 and CSS3 from being UA dependent in CSS2 to be related to the current inline-progression in CSS3 (through the usage of the 'start' value). Scripts using space between word without connector (such as Latin, Greek, Cyrillic, Hebrew, etc...) and symbol characters. Depending on script classification value (controlled by the 'text-script' property value) and the 'text-justify' property value, spacing may be altered between words or letters or both. The UA determines the justification algorithm to follow, based on a balance between performance and adequate presentation quality. Inter-word expansion is typically used for all scripts that use space as word delimiter. The concept of a word is script dependent, although the user agent determines the exact algorithm. If the 'text-kashida-space' property has a non zero percent value it is recommended to use kashida elongation for Arabic text. Inter-cluster spacing may also occur. Selects the simplest and fastest full justification behavior, which spreads the text evenly across the line by increasing the width of the space between words only. The concept of a word is script dependent, although the user agent determines the exact algorithm. At minimum, justification is expected to occur at each white space boundary. No expansion or compression occurs within the words, i.e. no additional letter spacing is created. No kashida effect takes place. Note: White space does not include zero-width-space, therefore justification should not expand these characters. However justification is expected to expand white space with explicit width set by the 'word-spacing' property. Selects the justification behavior in which both inter-word and inter-letter spacing can be expanded or reduced to spread the text across the whole line. 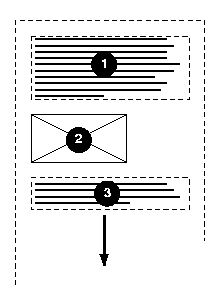 Also, text distribution on any given line may depend on the layout or the contents of the previous or the following several lines. This is the significantly slower and more sophisticated type of the full justify behavior preferred in newspaper and magazines, as it is especially useful for narrow columns. For example, typically, compression is tried first. If unsuccessful, expansion occurs: inter-word spaces are expanded up to a threshold, and finally inter-letter expansion is performed. Inter-letter spacing is not applied to Devanagari and other South Asian writing systems using baseline connectors. Kashida elongation and inter-cluster spacing may occur. The threshold value may be related to the ratio of column width to font size. The exact layout algorithm is determined by the user agent. Further explanation about multi-column layout can be found in the CSS3 Multi-column layout module. Note: In CSS3 a value of 'letter-spacing: 0' no longer strictly inhibits spacing-out of words for justification. The letter-spacing value is just an entry to the letter-spacing process that occurs prior to the possible justification process. Justification may alter the initial spacing between letters, especially with the 'text-justify: newspaper' value. In this mode, letter-spacing modification only occurs for the CJK group. Others only use inter-word expansion. No kashida effect takes place. This is the preferred justification in the context of the Japanese writing system, but not Latin nor Korean. Like 'newspaper' it allows letter spacing modification for most script groups (except the Devanagari group), but unlike newspaper, it does not prioritize between word spacing and letter spacing, i.e. the space character gets the same letter spacing modification as others. And by consequence there are no variations between narrow and wide columns. Kashida elongation and inter-cluster spacing may occur. This value is best used in East Asian context. This is the Southeast Asian counterpart to 'inter-ideograph'. That is letter spacing only occurs between script-defined grapheme clusters occurring in Southeast Asian scripts. Note: A grapheme cluster is what a language user consider to be a character or a basic unit of the language. The term is described in detail in the Unicode Technical Report [UAX-29]: Text Boundaries. This is the Arabic counterpart to 'inter-ideograph'. Letter spacing may be increased between Arabic letters, the extra space being filled by kashida. The amount of kashida elongation is controlled by the 'text-kashida-space' property. If 'text-kashida-space' is set to '0%' (which is the initial value), there will be no kashida effect. No letter spacing occurs for other scripts. *The values shown for the auto column are only a recommendation. The UAs might implement a different strategy. **The Latin entry represents as well other scripts and writing systems used in Europe and America that use the same typographic convention for justification such as Greek, Cyrillic, etc. ***The Devanagari entry represents as well other scripts and writing systems used in India that use baseline connectors (such as Bengali and Gurmukhi). Start, end and center text respectively. In horizontal flow orientation, the last line is aligned on the left or right respectively. In vertical flow orientation, the alignment SHOULD be interpreted relative to the 'block-progression'. That is, if the 'block-progression' value is 'rl', 'left' means 'the top of the block' and 'right' means 'the bottom of the block'. If the 'block-progression' value is 'lr', 'left' means 'the bottom of the block' and 'right' means 'the top of the block'. . Unlike the 'start' and 'end' values, the 'left' and 'right' are not related to the current inline-progression. The last line will be justified according to the 'text-justify' property value. However, if there is no expansion opportunity in the last line, the line might not appear justified. The line content is scaled to fit on the line. All the fonts on the line MUST be scaled by the same factor. Typically this value is used for single line element. Finally, this value, unlike the others, may change (i.e. decrease) the number of lines in a block element. The two following properties are only used in conjunction with the 'text-align-last' property set to 'size'. They control the font-size adjustments allowed to to fit the line content within the line. The font sizes of the last line of an element are not allowed to become smaller than the smaller of the computed 'font-size' value and the <'font-size'> value set to 'min-font-size'. The user agent determine the minimum readable font-size for the media. For example, a value of '8px' (relative to the viewing device) is recommended for Latin scripts. The font sizes of the last line of an element are not allowed to become larger than the larger of the computed 'font-size' value and the value <'font-size'> set to 'max-font-size'. There is no upper limit to the font sizes of the last line of an element. No wide-cell font space compression is allowed. Space can be taken away only from wide-cell punctuation glyphs. Space compression is allowed on wide-cell punctuation and wide-cell Kana glyphs. Kashida is a typographic effect used in Arabic writing systems that allows glyph elongation at some carefully chosen points. Each elongation can be accomplished using a number of kashida glyphs, a single graphic or character elongation on each side of the kashida point. (The user agent MAY use either mechanism based on font or system capability). The 'text-kashida-space' property expresses the ratio of the kashida expansion size to the white space expansion size. The value '0%' means no kashida expansion. The value '100%' means kashida expansion only. This property has a visible effect with any justification style where kashida expansion is allowed (currently if the 'text-justify' property is set to: auto, kashida, distribute or newspaper). The 'text-kashida-space' property is set to 100% in this example, so all expansion occurs in the elongated glyphs and none between the word themselves. Text indentation is controlled by the 'text-indent' property. Value: [ <length> | <percentage> ] hanging? The indentation is a percentage of the containing block inline-progression dimension. When specified, the indentation affects all lines. The amount of indentation is given by the length or percentage value. Percentages are relative to the containing block, even in the presence of floats. They are inherited as percentages, not as absolute lengths. The box is indented with respect to the starting edge of the line box. User agents should render this indentation as blank space. When the 'text-align' property is not set to align the text at the starting edge, this property only specifies a minimum indentation. When the 'text-align' property is set to 'center', the content of the first line is centered within the line box inline progression minus the indentation. The value of 'text-indent' may be negative, but there may be implementation-specific limits. If the value of 'text-indent' is negative, the value of 'overflow' [CSS3-box] will affect whether the text is visible. Note: Since the 'text-indent' property inherits, when specified on a block element, it will affect descendent inline-block elements. For this reason, it is often wise to specify 'text-indent: 0' on elements that are specified 'display: inline-block'. The following example causes the first line of a XHTML p element to be indented by '3em'. The following example causes the first line of a XHTML p element flush with the content edge and the following lines to be indented by '3em'. In documents written in Latin-based languages, where runs of characters make up words and words are separated by spaces or hyphens, line breaking is relatively simple. In the most general case, (assuming no hyphenation dictionary is available to the UA), a line break can occur only at white space characters or hyphens, including U+00AD SOFT HYPHEN. In ideographic typography, however, where what appears as a single glyph can represent an entire word and no spaces nor any other word separating characters are needed, a line breaking opportunity is not as obvious as a space. It can occur after or before many other characters. Certain line breaking restrictions still apply, but they are not as strict as they are in Latin typography. Thai is another interesting example with its own special line breaking rules. Since Thai words are made up of runs of characters, it resembles Latin in that respect. But the lack of spaces as word delimiters, or in fact any consistent word delimiters, makes it similar to CJK. Thai, like Latin in the absence of a hyphenating dictionary, never breaks inside of words. In fact, a knowledge of the vocabulary is necessary to be able to correctly break a line of Thai text. To specify an explicit line breaking opportunity, the character U+200B ZERO WIDTH SPACE can be inserted in documents of Thai and similar scripts . A number of levels of line-breaking strictness can be used in Japanese typography. These levels add or remove line breaking restrictions. The model presented in this specification distinguishes between two most commonly used line breaking levels for Japanese text, using the 'line-break' property. In ideographic typography, it is also possible, though not always preferred, to allow line breaks to occur inside of quoted Latin and Hangul (Korean) words without following the line breaking rules of those particular scripts. The model proposed in this document gives the author control over that behavior through the 'word-break-cjk' property. In addition, hyphenation is controlled by 'word-break-inside'. The 'word-break' shorthand property sets 'word-break-cjk' and 'word-break-inside'. Finally, there is an additional property 'wrap-option' which may influence line-breaking, especially the property value 'wrap-option: emergency' which provides for emergency word-breaking for long words. Note: Line breaking is covered by the Unicode Standard Annex [UAX-14], available from the Unicode Web site. It contains a detailed recommendation and corresponding data for each Unicode character. The line breaking data for a character is formally independent from its inherent script value, although both are tightly correlated. Consequently, the 'text-script' property has no influence on line breaking and word breaking processing. The following properties descriptions use commonly script classification because the classification conveniently describes the specific cases of line breaking and word breaking. Selects the normal line breaking mode for CJK. While the UA is free to define its own line breaking restrictions for the 'normal' mode, it is recommended that breaks between a standard katakana or hiragana character and a small katakana or hiragana (respectively) character be allowed. That is the preference in modern Japanese typography, and is especially desirable for narrow columns. Japanese kana words may be long, and it is preferable to allow line breaks to occur among such characters than to have excessive expansion due to justification. Selects a more restrictive line breaking mode for CJK text. While the UA is free to define its own line breaking restrictions for the 'strict' mode, it is recommended that the restrictions specified by the Unicode Standard Annex [UAX-14] be followed. That implies that in this mode, small katakana and hiragana characters are not allowed to start a line if they follow a standard katakana or hiragana character. Note: In Japanese, a set of line breaking restrictions is referred to as "Kinsoku". JIS X-4051 [JIS-X-4051] is a popular source of reference for this behavior using the strict set of rules. The rules described by JIS X-4051 have been superseded by the Unicode Technical Report #14. Note: Both values: 'normal' and 'strict' imply that a set of line-breaking restrictions is in use. Keeps non-CJK scripts together (according to their own rules), while Hangul and CJK ideographs (including the Korean Hanja characters) break according to the rules set by 'line-break' property. Typically CJK ideographs and Hangul characters can break everywhere with a limited set of exception controlled by the 'line-break' property. The behavior of non-CJK scripts can also be superseded by using the value 'emergency' in the 'wrap-option' property, or the value 'hyphenate' in the 'word-break-inside' property. Same as 'normal' for CJK ideographs and Hangul, but non-CJK scripts can break anywhere. This option is used mostly in a context where the text is predominantly using CJK characters with few non-CJK excerpts and it is desired that the text be better distributed on each line. The UAs MAY however limit the break everywhere behavior for script using clusters such as Thai. Same as 'normal' for all non-CJK scripts. CJK ideographs and Hangul are kept together. This removes line breaking opportunities between CJK ideographs and Hangul characters. This option should only be used in the context of CJK ideographs used in small clusters like in the Korean writing system where the presence of white space characters still create line breaking opportunities. The following example shows a paragraph style where all non-CJK scripts can break anywhere. A word should always stay in a single line. However, this can be superseded by using the value 'break-all' in the 'word-break-cjk' property, or the value 'emergency' in the 'wrap-option' property. Moreover, explicit hyphenation characters (hyphen, soft hyphen, etc...) still create line breaking opportunities. Words can be broken at an appropriate hyphenation point. It requires that the user agent have an hyphenation dictionary for the language of the text being broken. Setting this value activates the hyphenation engine in the user agent. Note: Intra-word breaks may or may not be indicated by a visible hyphen, depending on the language. The hyphenation glyph may appear at the end of the line or at the start of the next line, and its actual shape may depend on the text language. The 'word-break' property is a shorthand property for setting 'word-break-cjk', and 'word-break-inside', at the same place in the style sheet. The properties 'word-break-cjk' and 'word-break-inside' are first reset to their initial values (all 'normal'). Then, those properties that are given explicit values in the 'word-break' shorthand are set to those values. The following section describes text wrapping, white space handling and text overflow. Text wrapping and white space handling are interrelated through the CSS2 'white-space' property combining these two effects together. Text wrapping and text overflow both deal with situation where the text reaches the flow after-edge of its containing box. CSS3 clearly separates these three effects in different sets of property while keeping the 'white-space' property for compatibility reasons. The following section frequently uses the term line feed character to specify the normalized newline indicator. In XML and HTML context, the line feed character is the LINE FEED (U+000A). In other contexts, it may be represented differently, for example by a CARRIAGE RETURN (U+000A). The term 'line feed character' represents the normalized newline character native to a given framework. The text is wrapped at the best line-breaking opportunity (if required) within the available block inline-progression dimension (block width in horizontal text flow). The best line-breaking opportunity is determined in priority by the existence of preserved line feed characters, or by the line-breaking algorithm controlled by the 'line-break' and word-break' properties. The text is only wrapped where explicitly specified by preserved line feed characters. In the case when lines are longer than the available block width, the overflow will be treated in accordance with the 'overflow' property specified in the element. The text is wrapped after the last character which can fit before the ending-edge of the line and where explicitly specified by preserved line feed characters. No line-breaking algorithm is invoked. The intended usage is the rendering of a character terminal emulation. The text is wrapped like for the 'wrap' case, except that the line-breaking algorithm will allow as a last resort option a text wrap after the last character which can fit before the ending edge of the line box, independently of 'line-break', 'word-break-cjk' and 'word-break-inside' properties. For example, this addresses the situation of very long words constrained in a fixed-width container with no scrolling allowed. White space processing in the context of CSS is the mechanism by which all white space characters are interpreted for rendering purpose. The white space set is determined by the XML [XML1.0] specification as being a combination of one or more space characters (Unicode value U+0020), carriage returns (U+000D), line feed characters (U+000A), or tabs (U+0009). Note: [HTML401] also defines the form feed character (U+000C) as a white space character, but that character is not part of any XHTML versions as they are all based on XML. The amount of white space processing that can be achieved by a user agent that supports CSS is directly related to the CSS processing model, especially the document parsing and validation. After parsing and possible validation, the document tree may contain text nodes that contain unprocessed white space characters, or the document tree may already have been processed in a way that white space characters have been collapsed and partially removed (white space normalization). In that respect, the CSS properties related to white space processing can only be effective if the CSS processor has access to the white space characters that were originally encoded in the document. However, end-of-line characters are typically handled (like by XML processors) in such a way that any arbitrary combination of end-of-line characters is replaced by a single line feed character. Note: The first version of XML [XML1.0] only normalizes two characters sequences of (U+000D U+000A) or any U+000D not followed by U+000A to a single U+000A. The forthcoming version of XML [XML1.1] adds U+0085 (NEL) and U+2028 (LINE SEPARATOR) to the line feed normalization process. However the set of white space characters is unchanged. Notably, the character U+2029 (PARAGRAPH SEPARATOR) is not part of that set. If the characters U+2028 and U+2029 appears in text, they are treated as zero-width characters without semantic meaning. Note: XML Schema, through its 'whiteSpace' facet can constrain exactly the type of white space characters still available to a rendering process like CSS for elements containing string datatype. In addition, some XML languages like [XHTML1.0] may have their own white space processing rules when parsing and validating documents with white space characters. Therefore, some of the behaviors described below may be affected by these limitations and may be user agent dependent in these contexts. In addition, line feed characters can be inserted in generated content by using the '\A' string. The behavior of these inserted line feed characters is identical to original line feed characters part of the source document and is controlled by the same set of properties. Any text that is directly contained inside a block (not inside an inline) should be treated as an anonymous inline element. Each non-line feed white space character is treated as per the 'white-space-treatment' property. If 'all-space-treatment' is set to 'preserve', any sequence of spaces (U+0020) unbroken by an element boundary is treated as a sequence of non-breaking spaces. However, a line breaking opportunity exists at the end of the sequence. Each line feed character is treated as per the 'linefeed-treatment' property. any space (U+0020) following another space (U+0020)--even a space before the inline, if that space also has 'all-space-treatment' set to collapse--is removed. Then, the entire block is rendered. Inlines are laid out, taking bidirectional reordering into account, and wrapping as specified by the 'wrap-option', 'line-break' and 'word-break' properties. If a space (U+0020) at the beginning of a line has all-space-treatment' set to 'collapse', it is removed. All tabs (U+0009) are rendered as a horizontal shift that lines up the start edge of the next glyph with the next tab stop. Tab stops occur at points that are multiples of 8 times the width of a space (U+0020) rendered in the block's font from the block's starting content edge. If a space (U+0020) at the end of a line has 'all-space-treatment' set to 'collapse', it is also removed. Note: Tab stops line up in the block regardless of font change. These rendering rules make no assumption about the storage model of these white space character sequences. It is outside the scope of CSS to determine the character code values accessible through programming interface such as DOM. These rules do not apply to elements that have an explicit white space rendering behavior (like the pre element in XHTML). When white space characters are collapsed for rendering purpose, the text decoration style applied to the collapsed set is the one that would be applied to the first white space character of the original sequence. The 'white-space' property is a shorthand property for 'linefeed-treatment', 'white-space-treatment', 'all-space-treatment' and 'wrap-option'. The user agent either transforms each line feed character to a space character (U+0020), transforms each line feed character to a zero width space character (U+200B), or removes the line feed characters, following the line feed conversion algorithm. The choice of the resulting character is conditioned by the script value of the characters preceding and following the line feed character which are part of the same inline text flow in the same block element. The script value of each character is determined by the 'text-script' property. Line feed characters are ignored. They are removed and are not rendered. Line feed characters indicate an end of line of boundary. Line feed characters are transformed for rendering purpose into a space character (U+0020). The result of the transformation can be treated by subsequent CSS processing (including white space collapsing). Line feed characters are transformed for rendering purpose into a zero width space character (U+200B). The result of the transformation can be treated by subsequent CSS processing (including white space collapsing). Specifies that any line feed characters that immediately follow a line feed character, SHALL be discarded. This collapses multiple consecutive line feed characters into a single line feed. Note: The Unicode Standard [UNICODE] specifies that the zero width space is considered a valid line-break point and that if two characters with a zero width space in between are placed on the same line they are placed with no space between them; and that if they are placed on two lines no additional glyph area, such as for a hyphen, is created at the line-break. If the characters preceding and following the line feed character have a script value in which the space character (U+0020) is used as a word separator, the line feed character should be converted into a space character. Examples of such scripts are Latin, Greek, and Cyrillic. If the characters preceding and following the line feed character have either a ideographic-based script value or a script value which make them part of an ideographic-based writing system in which there is no word separator, the line feed should be converted into no character. Examples of such scripts or writing systems are Chinese, Japanese. If the characters preceding and following the line feed character have a non ideographic-based script vale in which there is no word separator, the line feed should be converted into a zero width space character (U+200B) or no character. Examples of such scripts are Thai, Khmer. If none of the conditions in (1) through (3) are true, the line feed character should be converted into a space character (U+0020). White space characters, except for line feed characters, are ignored. They are removed and are not rendered. All white space characters other than line feed are rendered as they are (with advance width). Specifies that any white space characters, except for line feed characters, that immediately precedes a line feed character, SHALL be discarded. This action SHALL take place regardless of the setting of the 'linefeed-treatment' property. Specifies that any white space characters, except for line feed characters, that immediately follows a line feed character, SHALL be discarded. This action SHALL take place regardless of the setting of the 'linefeed-treatment' property. Specifies that any white space characters, except for line feed characters, that immediately precedes or follows a line feed character, SHALL be discarded. This action SHALL take place regardless of the setting of the 'linefeed-treatment' property. All white space characters are rendered as they are. The rendering of tab characters (U+0009) is described in the white-space processing section. The white space characters are collapsed according to the rules described in White space processing. This property declares how 'white-space' inside the element is handled. Setting a value on the 'white-space' property sets the respective values on 'wrap-option', 'linefeed-treatment', 'white-space-treatment' and 'all-space-treatment'. Although, strictly speaking, the property has no initial value, it is equivalent to 'normal'. The definition of the property values are established by the following table, which shows the settings of the constituent properties. The following examples show what white-space behavior is expected from the pre and p elements, the "nowrap" attribute in XHTML, and in generated content. Text overflow deals with the situation where some textual content is clipped when it overflows the element's box in its inline-progression direction as determined by the 'direction' property value. This situation only occurs when the 'overflow' property has the values: hidden, scroll or auto (in the latter case only when the user agent introduces a scrolling mechanism). Text overflow allows the author to introduce a visual hint at the two ending boundaries of the text flow within the element box (after and end). The hint is typically a horizontal ellipsis character (U+2026), although the hint may be some other string or even an image. Setting a non-empty string (or an URI for an image) for either text flow boundary enables the presentation of the hint. If both hints are enabled, only the 'after' hint is rendered. Initially, only the end of line hint is shown (correspond to the right of any over flown lines for left to right inline-progression). Control over text-overflow is divided among properties: 'text-overflow-mode' controls the presence and position of the hint, 'text-overflow-ellipsis' controls what constitutes the hint. The shorthand property 'text-overflow' sets the other text flow properties. Clip text as appropriate for the text content. Glyphs representation of the text may be only partially rendered. A visual hint is inserted at each box boundary where text overflow occurs. The 'text-overflow-ellipsis' property determines the content of the hint. The insertions take place after the the last letter that entirely fits on the line. A visual hint is inserted at each box boundary where text overflow occurs. The 'text-overflow-ellipsis' property determines the content of the hint. The insertions take place after the last word that entirely fits on the line. The overflow hints are active only for textual content. That is, the user agent MUST NOT render an overflow hint when only replaced content overflows. Although the property is not inherited, overflowing children blocks that are either statically or relatively positioned and do not have a specified width or height will be hinted as specified by their parent text-overflow-mode property value. it under adverse conditions - the curtain was up. The <ellipsis> value is defined as: [<string> | <uri>]. The <string> value determines a textual value for the overflow visual hint. The font-size used for the <string> is the element computed font-size. An empty string disables the hint. The <uri> value determines an image to be used for the overflow visual hint. When only one <ellipsis> value is set by 'text-overflow-ellipsis', it determines the overflow visual hint at the end of the element box. 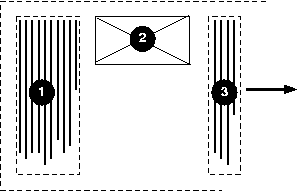 If two <ellipsis> values area provided, they determine the overflow visual hint at the end and the overflow visual hint after the element box respectively. The visual hint after the element box only appears if there is content which is clipped because of the block-progression dimension of the block, not because the last line cannot fit. If the visual hint after the element box is enabled and would appear at the same location as the visual hint at the end of the element box, only the visual hint after the element box is rendered. Note: Because the initial value (U+2026) of the overflow visual hint after the element box may not be easily rendered in some situations, the user agent may replace it by a sequence of 3 FULL STOP characters (U+002E). This property is the shorthand for 'text-overflow-mode' and 'text-overflow-ellipsis'. This property specifies spacing behavior between grapheme clusters. Note: A grapheme cluster is what a language user consider to be a character or a basic unit of the language. The term is described in detail in the Unicode Technical Report [UAX-29]: Text Boundaries. A white space character is a grapheme cluster. The spacing is the normal spacing for the current font. It is typically zero-length. However, this value allows the user agent to alter the space between grapheme clusters in order to justify text. This value indicates spacing added between grapheme clusters in addition to the default spacing between grapheme clusters. The spacing is not be added to grapheme clusters that have a zero advance width but is added to all non collapsed white space characters. For justification purposes, user agents should minimize effect on letter-spacing as much as possible (priority to word-spacing expansion/compression as opposed to character-spacing expansion/compression). Values may be negative, but there may be implementation-specific limits. For justification purposes, user agents should minimize alteration of spacing within words. The priority should be to alter spacing between words. Because of the visually disruptive effect of modifying this spacing in writing systems, such as Arabic, which use joined glyphs, the usage of this property is discouraged in those cases. There are cases, like in Japanese or Chinese writing systems, where justification will change all spacing between grapheme clusters, as there is no other opportunity in the line to expand or compress the textual content in order to fit the line. The user agent determines the exact algorithm for spacing between grapheme clusters. Furthermore this property should not be set to a <length> for scripts and/or fonts that ligate glyphs with connecting strokes; such scripts and fonts include cursive Latin fonts, Arabic, Devanagari. Spacing between grapheme clusters may also be influenced by justification (see the 'text-align' property). In this example, the space between grapheme clusters in blockquote elements is increased by '0.1em'. The normal inter-word space, as defined by the current font and/or the user agent. If the inter-word boundary is delimited by one or several white space characters, they should be visible. If there are no word-separating characters, the user agent doesn't have to create an additional character advance width between words. This value indicates inter-word space in addition to the default space between words. If there are no word-separating characters, or if the word-separating character have a zero advance width (such as the zero width space U+200B) the user agent should not create an additional character advance width between words. If there are several word-separating characters (for example, multiple non collapsed white space characters), the added <length> can only be applied once. Values may be negative, but there may be implementation-specific limits. Word spacing algorithms are user agent-dependent. Determining word boundary is typically done by detecting white space characters. There are however many scripts and writing systems that do not separate their words by any character (like Japanese, Chinese, Thai, etc...), detecting word boundaries in these cases require dictionary based algorithms that may not be supported by all user agents. Applying word-spacing in those cases is not recommended. Word spacing is also influenced by justification (see the 'text-align' property). The spacing values set by the 'letter-spacing' and the 'word-spacing' properties are cumulative. This property determines whether or not a full-width punctuation mark character should be trimmed if it appears at the beginning of a line, so that its "ink" lines up with the first glyph in the line above and below. In some scenarios, it may be preferable for the author not to allow leading punctuation marks to be trimmed, for example when it is more important that the glyphs tend to line up vertically. In other scenarios such an effect is desirable, for example when it is more important for the author that as much text as possible fits on a single line. Leading punctuation is not trimmed. When a run of non-ideographic or numeric characters appears inside of ideographic text, a certain amount of space is often preferred on both sides of the non-ideographic text to separate it from the surrounding ideographic glyphs. This property controls the creation of that space when rendering the text. That added width does not correspond to the insertion of additional space characters, but instead to the width increment of existing glyphs. This property is additive with the 'word-spacing' and 'letter-spacing' [CSS2] properties. That is, the amount of spacing contributed by the 'letter-spacing' setting (if any) is added to the spacing created by 'text-autospace'. The same applies to 'word-spacing'. No extra space is created. Creates extra spacing between runs of ideographic text and numeric glyphs. Creates extra spacing between runs of ideographic text and non-ideographic text, such as Latin-based, Cyrillic, Greek, Arabic or Hebrew. Extends the width of the space character while surrounded by ideographs. Creates extra spacing between normal (non wide) parenthesis and ideographs. This property controls the font size threshold for the pair kerning effect. At the threshold value and above, pair kerning is active if enabled by the 'kerning-mode' property. Because pair kerning is not very effective at small font sizes, this property can be used to adjust the threshold. The user agent determines the font size threshold from which the kerning takes place. In CSS1 and CSS2, the 'text-decoration' property controls text decorations: underline, overline, line-through, and blinking. CSS2 adds text shadows, which the 'text-shadow' property controls. However, the 'text-decoration' property has limitations stemming from its syntax, precluding fine control over each of those formatting effects. Specifically, it offers no way to control the color or line style of the underline, overline or line-through. CSS3 extends the model by introducing new properties allowing additional controls over those formatting effects. CSS3 also makes turning these formatting effects on or off possible without affecting any other 'text-decoration' settings. Furthermore, to reflect the usage of underline in East Asian vertical writing, a new control is offered for the underline positioning; this allows the underline to appear before (on the right in vertical text flow) or after (on the left in vertical text flow) the formatted text. The property is called 'text-underline-position'. Note: In East Asian typography it is typical to 'emphasize' text using glyph elements such as an accent mark, a dot, a hollow circle, etc. This feature is tightly connected to the rendered font and is therefore described in the font module. See 'font-emphasis' [CSS3-fonts] for more details. The 'text-decoration' property itself is now a shorthand property for all these new properties. However, the 'text-decoration' values are not composites built from the values of constituent properties. Rather, 'text-decoration' values come from a small set specific to the 'text-decoration' shorthand property. These properties describe decorations that are added to the text of an element. If they are specified for a block-level element, they affect the root inline box (the anonymous inline box which wraps all the inline children of an element). If they are specified for (or affects) an inline-level element, they affect all boxes generated by the element. If an element contains no text (ignoring white space in elements that have 'all-space-treatment' set to 'collapse'), user agents MUST refrain from rendering text decorations on the element. For example, elements containing only images and white space will not be underlined . Text decoration properties are not inherited, but descendant boxes MUST be formatted with the same decoration (e.g., they must all be underlined). The color of decorations MUST remain the same even if descendant elements have different 'color' values. When a text decoration could result in text being unintentionally overdrawn by the text decoration style, the user agents MAY chose to skip the text decoration over the intersecting area by using 'text-underline-mode', 'text-line-through-mode' or 'text-overline-mode' with the appropriate values. In determining the position of and thickness of text decoration lines, user agents MAY consider the font sizes of and dominant baselines of children. Of course, user agents MAY ignore children in these determinations. Such an averaging is done on a line per line basis. In the three fragments of underlined text, the underline is drawn consecutively lower and thicker as the ratio of large text to small text increases. Note: User agents typically consider superscript segments but ignore subscript segments. The baseline-shift is not considered for superscript segments. Produces a dashed line style. Produces a line whose repeating pattern is a dot followed by a dash. Produces a line whose repeating pattern is two dots followed by a dash. The following figure shows the appearance of these various line styles. The user agent may use any algorithm to determine the text decoration width. Implementers are encouraged to consider the font-sizes and baselines of all affected text. The text decoration style should affect the resulting value (the style 'double', for instance, would produce a width greater than the style 'solid' produces). The computed value is 'auto'. The text decoration width is the normal text decoration width for the nominal font. If no font characteristic exists for the width of the text decoration in question, the user agent should proceed as though 'auto' were specified. The computed value is 'normal'. The text decoration width is the product of the <number> and the computed 'font-size'. The computed value is '<number>'. The text decoration width is the length. The computed value is the corresponding absolute <length>. The text decoration width is the product of the <percentage> and the computed 'font-size'. The computed value is the absolute <length>. This value is equivalent to a <number> value kept by the user agent. The <number> MUST be constant through a given view of a document and SHOULD yield a thin line. The computed value is 'thin'. This value is equivalent to a <number> value kept by the user agent. The <number> MUST be constant through a given view of a document, MUST be greater than or equal to the 'thin' number and SHOULD yield a medium line. This value is equivalent to a <number> value kept by the user agent. The <number> MUST be constant through a given view of a document, MUST be greater than or equal to the 'medium' number and SHOULD yield a thick line. This value means that the line is continuous. This means that space characters will not be lined. In horizontal inline-progression, the underline, if set, SHOULD be aligned with the alphabetic baseline. In vertical inline-progression, if the language is set to Japanese or Korean, the underline, if set, SHOULD be aligned with the 'before-edge' of the line box. the underline, if set, is aligned with the 'before-edge' of the line box. the underline, if set, will appear after the alphabetic baseline. In this case the underline may cross some descenders. the underline, if set, is aligned with the 'after-edge' baseline of the line box. In this case the underline does not cross the descenders. This is sometimes called 'accounting' underline. Conforming CSS3 user agents MAY simply not blink the text. The 'text-underline' property is the shorthand for 'text-underline-style', 'text-underline-width', 'text-underline-color', 'text-underline-mode' and 'text-underline-position'. Any constituent properties not explicitly assigned values in a 'text-underline' declaration take their respective initial values. The 'line-through' property is the shorthand for 'text-line-through-style', 'text-line-through-width', 'text-line-through-color' and 'text-line-through-mode'. Any constituent properties not explicitly assigned values in a 'text-line-through' declaration take their respective initial values. The 'text-overline' property is the shorthand for 'text-overline-style', 'text-overline-width', 'text-overline-color' and 'text-overline-mode'. Any constituent properties not explicitly assigned values in a 'text-overline' declaration take their respective initial values. The 'text-decoration' property is a shorthand that takes its own set of values. All the constituent properties maintain their initial values. The 'text-underline-style' value is 'solid' rather than 'none'. The 'text-overline-style' value is 'solid' rather than 'none'. The 'text-line-through-style' value is 'solid' rather than 'none'. The 'text-blink' value is 'blink' rather than 'none'. Conforming user agents MAY simply not blink the text. Although the property has no explicit initial value, it is equivalent to the value 'none'. <shadow> itself is defined as "[<color> <length> <length> <length>? | <length> <length> <length>? <color>?]". This property accepts a comma-separated list of shadow effects to be applied to the text of the element. The shadow effects are applied in the order specified and may thus overlay each other, but they will never overlay the text itself. Shadow effects do not alter the size of a box, but may extend beyond its boundaries. The stack level of the shadow effects is the same as for the element itself. Each shadow effect MUST specify a shadow offset and MAY optionally specify a blur radius and a shadow color. A shadow offset is specified with two <length> terms that indicate the distance from the text. The first length term specifies the horizontal distance to the right of the text. A negative horizontal length term places the shadow to the left of the text. The second length term specifies the vertical distance below the text. A negative vertical length term places the shadow above the text. A blur radius MAY be specified after the shadow offset. The blur radius is a length value that indicates the boundaries of the blur effect. The exact algorithm for computing the blur effect is not specified. If no blur radius is specified, the treatment is as if a blur radius of zero were specified and the shadow has the same size and shape as the glyphs that cast it. User agents MAY only implement only part of this property by ignoring blur effects. Such user agents should consider declarations that specify the blur radius to be parser errors, as described in the Syntax module [link TBD]. A color term may be specified before or after the length terms of the shadow effect. The color term will be used as the basis for the shadow effect. If no color is specified, the value of the 'color' property will be used instead. Text shadows may be used with the ::first-letter and ::first-line pseudo-elements. The next example will place a shadow to the right and below the element's text. The shadow will have a 5px blur radius and will be red. Note: This property is not defined in CSS1. Some shadow effects (such as the one in the last example) may render text invisible in user agents that only support CSS1. The usage of this property is discouraged as much better filter effects are available in SVG [SVG1.1]. It is very common for the glyphs in documents written in East Asian languages, such as Chinese or Japanese, to be laid out on the page according to a specified one- or two-dimensional grid. The concept of grid can also be used in other, non-ideographic contexts such as Braille or monospaced layout. 'text-height' [CSS3-line] which defines the block-progression value for inline boxes. Depending on the content size, one or a multiple of 'line-height' will be necessary to accommodate a given inline box. The block-progression grid is not described in this section as it can be achieved simply by using the properties mentioned above and described in the CSS3 Line module. Adding extra space between each grapheme cluster by using the 'letter-spacing' property. This is sometimes called "loose" grid. Giving a fixed advance width to ideograph grapheme clusters only. Other grapheme clusters are spaced normally. This is called "genko" in Japanese typography. Giving a fixed advance width to all grapheme clusters, excepted connected glyphs (like Arabic). Two properties control this advance width modification: 'line-grid-mode' enables it and 'line-grid-progression' determines its value. The shorthand 'line-grid' allows setting both together. No line grid. Standard text alignments apply to the block element. Content is divided into units that we will call strips. Each strip is horizontally centered within the smallest number of grid spaces that contain the strip. The width of the grid space is determined by the 'line-grid-progression' setting. Each grapheme cluster with a wide base character is a strip. Each grapheme cluster with a narrow kana character as its base is a strip. Each non-breakable object (e.g. an image) is a strip. Other grapheme clusters are treated as a single strip bounded by the strips described prior. That single strip may be decomposed in several strips if line breaking occurs within it. Each strip corresponding to wide base character (as well as narrow kana character) that can fit within a single grid space is rendered in the horizontal center of the grid space. Each strip corresponding to other characters are placed in the center of the smallest number of grid spaces necessary for it to fit. If a line break occurs within such a strip, the strip is treated as two or more separate strips whose individual placement follows the same rules as those for a single strip. Strips corresponding to non-breakable objects and strips corresponding to wide base character (as well as narrow kana character) that are wider than a single grid space, are each centered within the smallest number of grid cells necessary for them to fit. The 'ideograph' mode disables all special text justification and glyph width adjustment normally applied to the contents of the block element. If a line break opportunity cannot be found in a text run going over the line boundary, then that text run will be pushed down to the next line and the last part of the previous line will be left blank. This type of grid can be used to achieve mono-spaced layout. As with 'ideograph', content is divided into strips and each strip is horizontally centered within the smallest number of grid spaces that can contain the grid. The rules for determining strips differs. Each grapheme cluster with a non-joining base character is a strip. Each non-breakable object (e.g. an image) is a strip. Each run of grapheme clusters with joining base characters that join to each other is a strip. The 'letter-spacing' property does not apply to characters in a grid but does apply for all characters not in the grid (i.e. all characters for 'line-grid-mode: none', non-ideographs for 'line-grid-mode: ideograph' and all non-connected glyphs for 'line-grid-mode: all'). This property affects the inline-progression dimension of characters which are subject to the fixed advance width as determined by the 'line-grid-mode' property. The computed value of the block element 'text-height' [CSS3-line] is used. The computed value of the block element 'line-height' [CSS3-line] is used. inline-progression dimension of the line grid's unit space. The rule set above would make grid spaces 0.5 inches long in a div element in the section1 class. If the element has horizontal flow, it would like the following (without the grid lines, which are shown for clarity). The 'line-grid' property is a shorthand property for setting 'line-grid-mode' and 'line-grid-progression'. This sets for the div element a grid with 20pt inline and block-progression dimensions. All ideographs will be set in cells sized in multiple of 20pt in both directions. Puts the first letter of each word in uppercase. Although limited, the case mapping process has some language dependencies. Some well known examples are Turkish and Greek. See HTML [HTML401] for ways to find the language of an HTML element. XML, and consequently [XHTML1.0], uses an attribute called xml:lang. There may be other ways, specific to certain document languages, to determine the human language. The case mapping rules for the character repertoire specified by the Unicode Standard can be found on the Unicode Consortium Web site at [UNICODE-casing]. Conforming user agents MUST support case mapping rules according to the Unicode Standard for all characters specified by that standard. Note: The conformance rule is more stringent than the ones specified in lower levels of CSS. This property determines whether a punctuation mark, if one is present, may be placed outside the content area at the start or at the end of a full line of text. Allowing a punctuation to hang at the end of a line is is a common practice in East Asian typography. It is the responsibility of the designer to create meaningful padding and margin areas to allow effective rendering of the punctuation. If the padding and margin are of zero width or not wide enough to show the punctuation, the punctuation may not be rendered. Note: Compression, including compression of the punctuation characters, may also occur in the line independently of this effect. No punctuation marks are allowed to be placed outside the content area. A leading punctuation mark, if present, may overhang at the start of the content area. A trailing punctuation mark, if present, may overhang at the end of the content area. A leading punctuation mark, if present, may overhang at the start of the content area. A trailing punctuation mark, if present, may overhang at the end of the content area. In the following example 'hanging-punctuation' has the value 'end'. Note: User agents should follow the script-specific and language-specific conventions about which lines allow which hanging punctuation. For example, in Latin text, a leading punctuation mark may overhang only on the first line and a trailing punctuation may overhang only on the last line. It would look improper in other lines. The following figure shows an example of correct usage. This property controls the creation of grapheme clusters ("kumimoji") or lines ("warichu"). Combines glyphs to fit within the space of a single wide-cell glyph, by reducing them in size and stacking them next to and/or on top of each other. This effect is commonly used in East Asian typography. This combination is restricted to two lines and is rendered as a single inline box or multiple inline boxes if it does not fit in a single line box . If the combination does not fit in a single line box, it can be split across several line boxes, using multiple inline boxes. In that case, each inline box represents its own character flow subset of the combination. That is, each of these inline boxes is rendered as a two-lines inline block with characters flowing from the ending edge of the first line to the starting edge of the second line of the inline box. The following figure shows a typical usage for this feature. In addition to the specified values, all properties take the initial and inherit values. This document defines three modules: The CSS1 text module, the CSS2 text module and the CSS3 text module. Concerning the 'text-align' property, a conforming CSS1 user agent MAY interpret the value 'justify' as 'left' or 'right', depending on whether the element's current text direction is left-to-right or right-to-left respectively. The following table describes the CSS2 text module. Because all properties have added the 'inherit' value and have a media type, all CSS1 properties have been specified below as well. The properties added are 'direction', 'text-shadow' and 'unicode-bidi'. In addition, the 'text-align' has a new value: <string>. Text layout flow: 'block-progression', 'writing-mode', 'glyph-orientation-horizontal', 'glyph-orientation-vertical', 'text-script'. Text alignment and justification: 'min-font-size', 'max-font-size', 'text-align-last', 'text-justify', 'text-justify-trim', 'text-kashida-space'. Line breaking: 'line-break', 'word-break', 'word-break-cjk', 'word-break-inside'. Text wrapping, white space control and text overflow: 'all-space-treatment', 'linefeed-treatment', 'text-overflow', 'text-overflow-ellipsis', 'text-overflow-mode', 'white-space-treatment', 'wrap-option'. Text spacing: 'kerning-mode', 'kerning-pair-threshold', 'punctuation-trim', 'text-autospace'. Text decoration: 'text-line-through', 'text-line-through-color', 'text-line-through-mode', 'text-line-through-style', 'text-line-through-width', 'text-overline', 'text-overline-color', 'text-overline-mode', 'text-overline-style', 'text-overline-width', 'text-underline', 'text-underline-color', 'text-underline-mode', 'text-underline-position', 'text-underline-style', 'text-underline-width', text-blink. Document grid: 'line-grid', 'line-grid-mode', 'line-grid-progression'. 'text-align' has two new values: 'start' and 'end'. 'text-indent' has a new keyword: 'hanging'. 'text-decoration', in addition to its CSS2 behavior, becomes a shorthand property for the following properties: 'text-line-through', 'text-line-through-color', 'text-line-through-mode', 'text-line-through-style', 'text-line-through-width', 'text-overline', 'text-overline-color', 'text-overline-mode', 'text-overline-style', 'text-overline-width', 'text-underline', 'text-underline-color', 'text-underline-mode', 'text-underline-position', 'text-underline-style', 'text-underline-width', text-blink. 'white-space' has two new values: 'pre-wrap' and 'pre-line' and becomes a shorthand property for the following properties: 'wrap-option', 'all-space-treatment', 'linefeed-treatment' and 'white-space-treatment'. all properties take the value 'initial'. Subset of the Korean writing system in which a few letters combine to form syllables. Visually, each written syllable occupies the same amount of space. Subset of the Korean writing system that utilizes ideographic characters borrowed or adapted from the Chinese writing system. Also see Kanji. Japanese syllabic script, or character of that script. Rounded and cursive in appearance. Subset of the Japanese writing system, used together with kanji and katakana. In recent times, mostly used to write Japanese words when kanji are not available or appropriate, and word endings and particles. Also see Katakana. A character that is used to represent an idea, word, or word component, in contrast to a character from an alphabetic or syllabic script. The most well-known ideographic script is used (with some variation) in East Asia (China, Japan, Korea,...). Japanese term for ideographs; ideographs used in Japanese. Subset of the Japanese writing system, used together with hiragana and katakana. Also see Hanja. Any of a number of elongation glyphs that sit on the alphabetic baseline; used in Arabic and Syriac. Also a character (U+0640, Arabic tatweel) used to indicate the glyph. Subset of the Japanese writing system consisting of phonetic characters used to represent mostly Latin words. Also see Hiragana. Japanese term for a set (or sets) of line breaking restrictions. Composition of two to five grapheme clusters that are reduced in size and arranged to fit within the space of a single wide-cell glyph. Some of these compositions are encoded in the Unicode Standard. Character or glyph that represents an entire word. Common in the Han script used in East Asia. A run of text that appears in the vicinity of another run of text and serves as an annotation or a pronunciation guide for that text. Run of horizontal text inside of a column of vertical text; frequently used in East Asian documents for displaying certain numbers, such as years. In general, the existing [CSS2] properties that imply directionality or position are absolute, i.e. "left" means "left" and "top" means "top" regardless of the writing mode of the page. The purpose of this appendix however is to list the exceptions to that rule and clarify ambiguities. If a property does not appear in this list, it is intended to be interpreted as absolute, i.e. it does not rotate when the layout mode changes. 'clear' 'float' and 'clear' property values interpretation is absolute in horizontal flow and logical in vertical flow (left is start, right is end). 'direction' relative (logical), i.e. ltr implies top-to-bottom character progression in vertical layout. 'display' relative (logical), i.e. the values that are directional (table-) are relative to the element orientation as specified by the writing mode. 'line-height' relative (logical), i.e. this controls the "height" of a line if horizontal, or the "width", if vertical. In other words, this controls the size of the line in the dimension perpendicular to the baseline. 'text-align' 'left' and 'right' are physical in horizontal inline-progression and depend on the user agent in vertical inline-progression. 'start' and 'end' are always relative. 'unicode-bidi' relative (logical), i.e. it affects glyph progression regardless of layout. 'vertical-align' relative (logical), i.e. 'top' and 'bottom' values maps to 'before-edge' and 'after-edge' values in baseline alignment properties. Ayman Aldahleh, Bert Bos, Tantek Çelik, Stephen Deach, Martin Dürst, Laurie Anna Edlund, Ben Errez, Yaniv Feinberg, Arye Gittelman, Richard Ishida, Koji Ishii, Masayasu Ishikawa, Elika Jalili Etemad (fantasai), Michael Jochimsen, Eric LeVine, Chris Lilley, Paul Nelson, Chris Pratley, Martin Sawicki, Rahul Sonnad, Frank Tang, Chris Thrasher, Etan Wexler, Chris Wilson, Masafumi Yabe and Steve Zilles.